Foreclosures are increasing again in South Florida, an indication that mortgage lenders have begun to put paperwork problems behind them. New reports from two industry trackers indicate that lenders are beginning to speed up their home-repossession practice, which has been hampered due to last year’s “robo-signing” scandal. 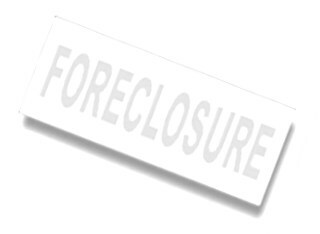 Third-quarter foreclosure filings rose 13.2 percent to 9,170 in Miami-Dade County, compared to the previous quarter, according to data released Thursday by real estate research firm RealtyTrac. In Broward, total filings were up 36.9 percent in the third quarter to 7,712. “While foreclosure activity in September and the third quarter continued to register well below levels from a year ago, there is evidence that this temporary downward trend is about to change direction, with foreclosure activity slowly beginning to ramp back up,” RealtyTrac CEO Jeff Saccacio said in a statement. Foreclosure filings began dropping precipitously in September 2010, as major banks initiated moratoriums to deal with paperwork problems. Lenders discovered that employees and affiliates had been signing thousands of foreclosure documents without properly reviewing the details of each case. The increases are an indication that foreclosures delayed by the slowdown are beginning to work their way through the system, albeit slowly; in Miami-Dade, the process takes around two years. Bank repossessions — the final stage of the foreclosure process— rose 50 percent to 2,296 in Miami-Dade during the third quarter. In Broward, bank repossessions increased from 1,397 to 2,296, a 64.3 percent jump. “The numbers were much greater when everything was going full swing but you can see banks are starting to file again,” he said. According to data from RealAuction.com, which hosts the county foreclosure auctions for Miami-Dade and Broward, October auctions are up more than 200 percent from September. In Miami-Dade County, for example, the number of scheduled auctions jumped from 667 in September to 2,077 in October. Similar increases took place in Broward County and throughout Florida, McClendon said. Still, it takes an average of 749 days for the foreclosure process to run its course in Florida, third highest in the nation, RealtyTrac found. With more than 150,000 South Florida properties either stuck in court or seriously behind on payments, it could take years to clear out the backlog. On Wednesday, Gov. Rick Scott approved a $45.6 million loan for the state courts system, funds that can be used to help whittle down the large backlog of foreclosure cases stuck in court. The court funding, combined with more aggressive lenders, could lead to faster foreclosures going forward. The increase in new initial filings of foreclosure is a national trend; new default notices increased 14 percent nationwide in the third quarter.